These are exciting times at Kolaj Magazine. That is what we have been doing. On World Collage Day, we saw over fifty events in twenty-five countries celebrating collage. Artists took over phone booths on train platforms and turned them into pop-up galleries. Collagists paraded in the streets of an Ohio town. In Peru and Brazil, in Russia and Scotland, across North America collage artists came together, made art, and shared it to the world. 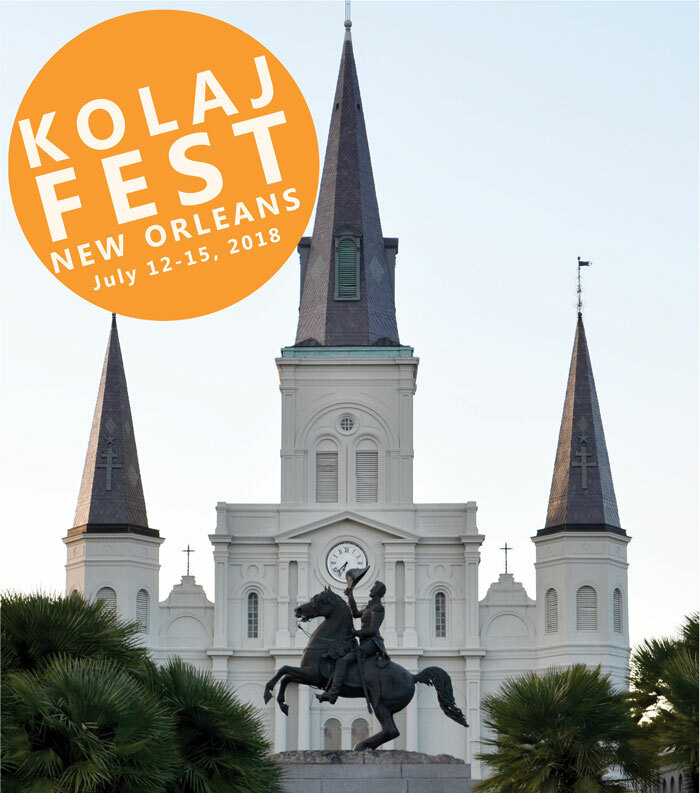 Since then, we have been hard at work assembling the program for Kolaj Fest New Orleans. 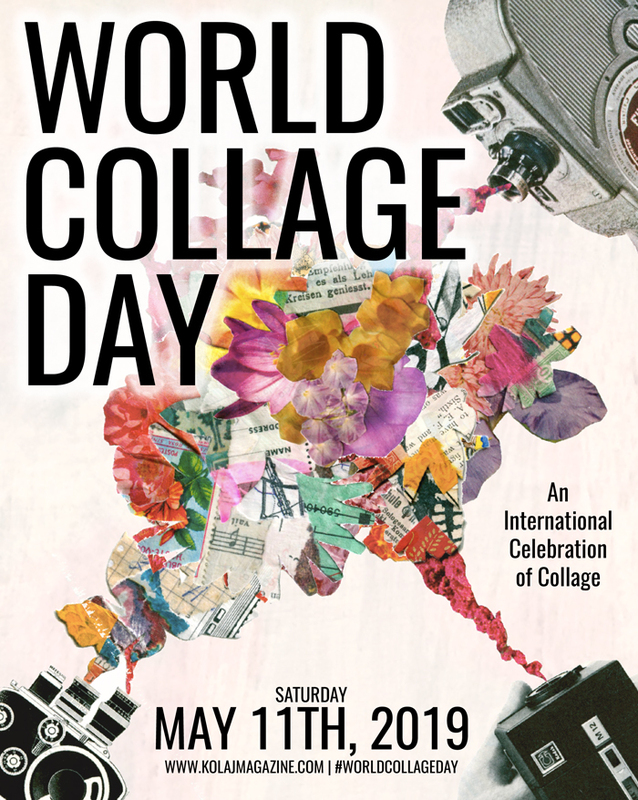 This will be a historic coming together of collage artists and art professionals; a multi-day festival and symposium about contemporary collage and its role in art, culture, and society; where the focus is how we elevate the status of collage. Presenters are leading panel discussions, addressing key curatorial issues, asking why collage is often treated as a second-rate medium. Artists are planning a festival-wide installation, creating special activities and demonstrations. We will meet, network, share community, camaraderie, and fellowship. We will leave armed with new ideas for our artmaking, writing, and curatorial projects, but more importantly, we will leave Kolaj Fest New Orleans prepared to champion this artform in the year to come. I invite you to join us. We are a small outfit that relies on your subscription to publish the magazine. If you are already a subscriber, thank you! 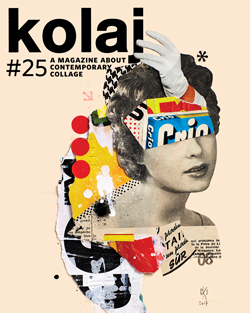 If you wish to contribute or be featured in the publication, check out our “How-to Kolaj” page. 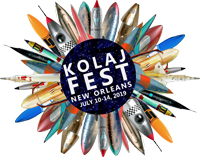 Early (and discounted) Registration to Kolaj Fest New Orleans is now open. And thank you for following us on Facebook, Instagram, and Tumblr. We appreciate being connected to you!